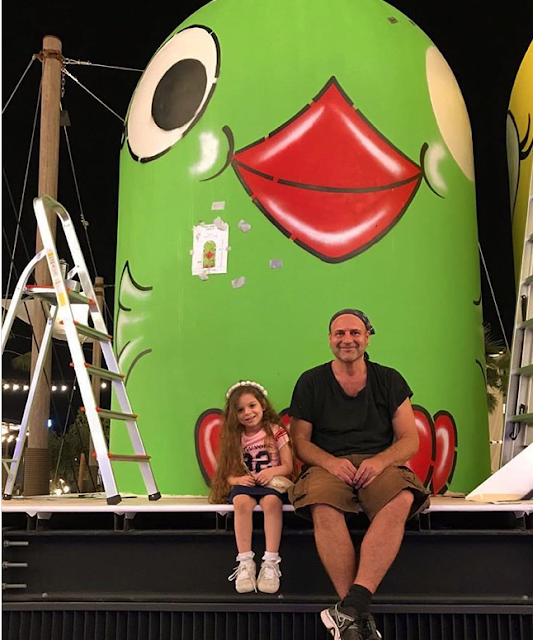 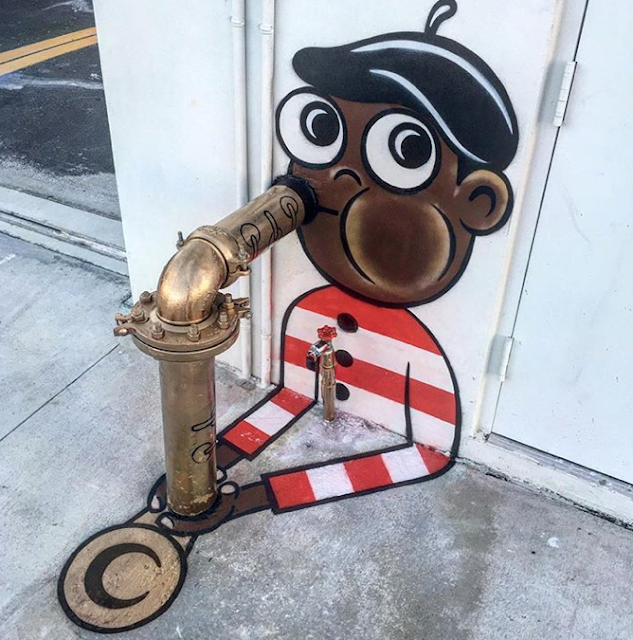 Two first names and a boatload of whimsical street art. 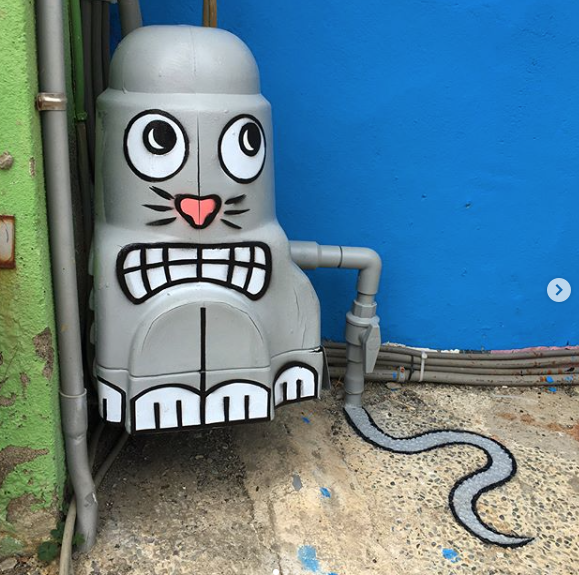 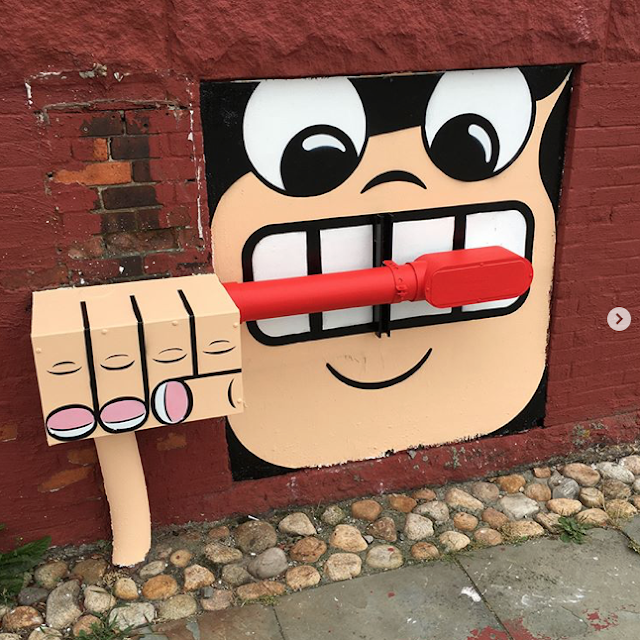 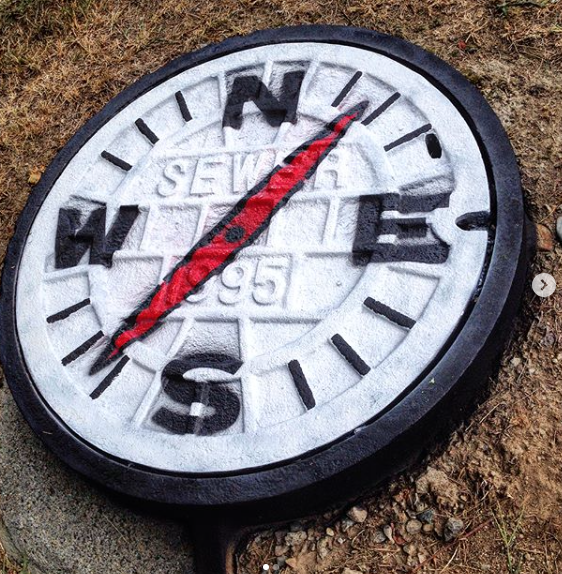 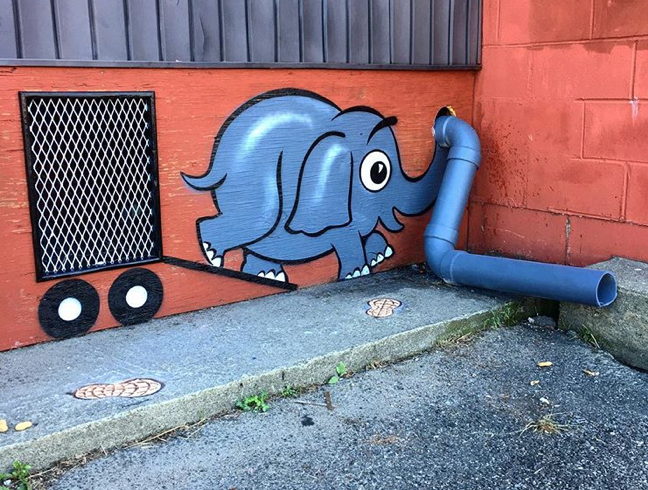 New York artist Tom Bob NYC takes his spray paint and imagination out into urban streets to bring ordinary street objects - pipes, racks, meters, trash cans, and the like - to life. 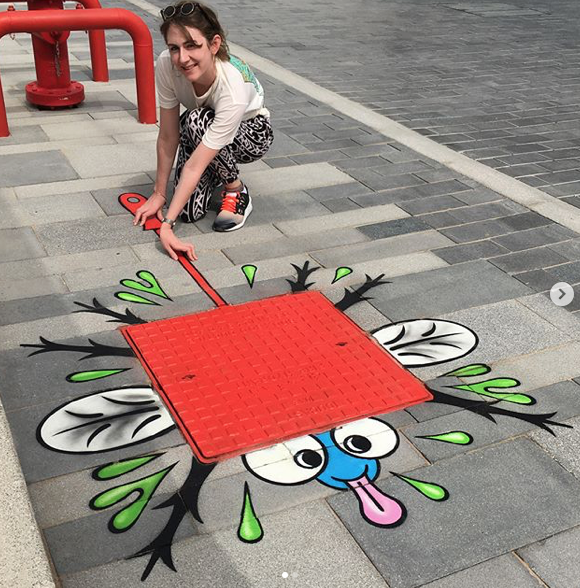 Manhole covers turn into frying pans, gas meters are transformed into smile-inducing lobstersTV antennae hints at umbrellas, and critters and creatures of all makes and models interact with their surroundings. 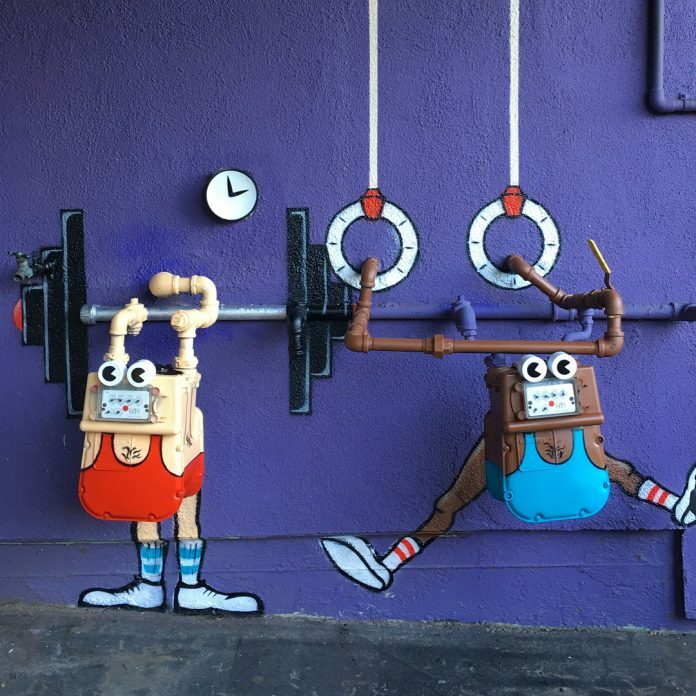 "If the work of Tom Bob doesn't bring a smile to your face today, we're not sure what will."